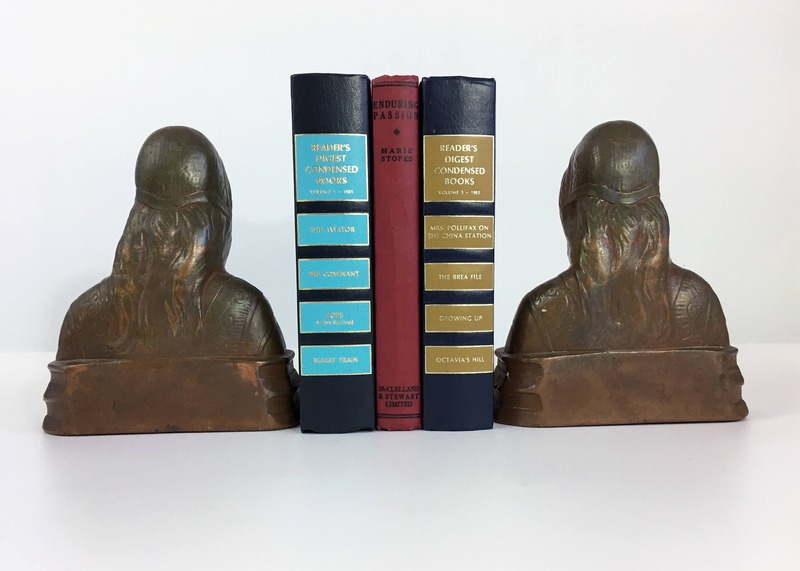 Vintage pair of heavy copper bookends that are two women's busts that are Art Deco in style. They have long hair and each wears a medieval type of head covering and a head piece around the forehead. 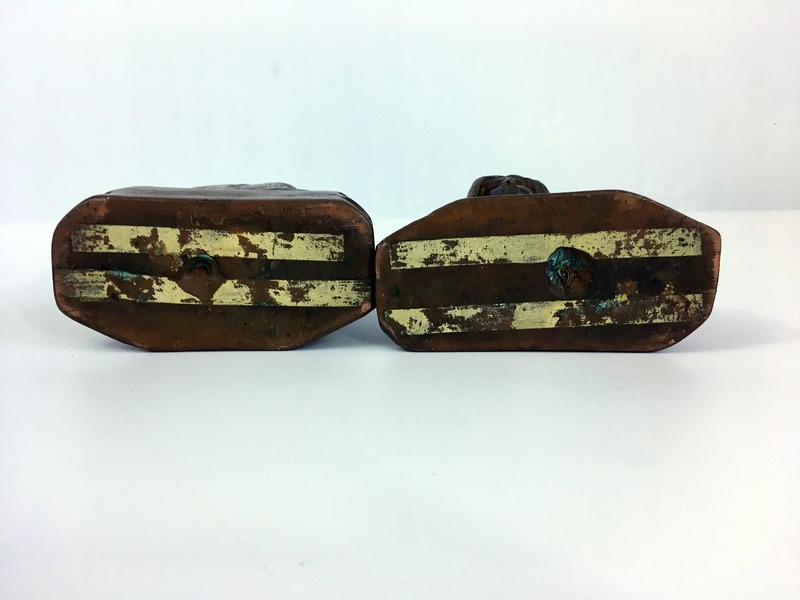 They have dressed with a square neck and a bit of design on them in various places as well as a necklace. Measure 6 3/4" high and about 5 1/2" wide each. They are 2 1/3" deep. 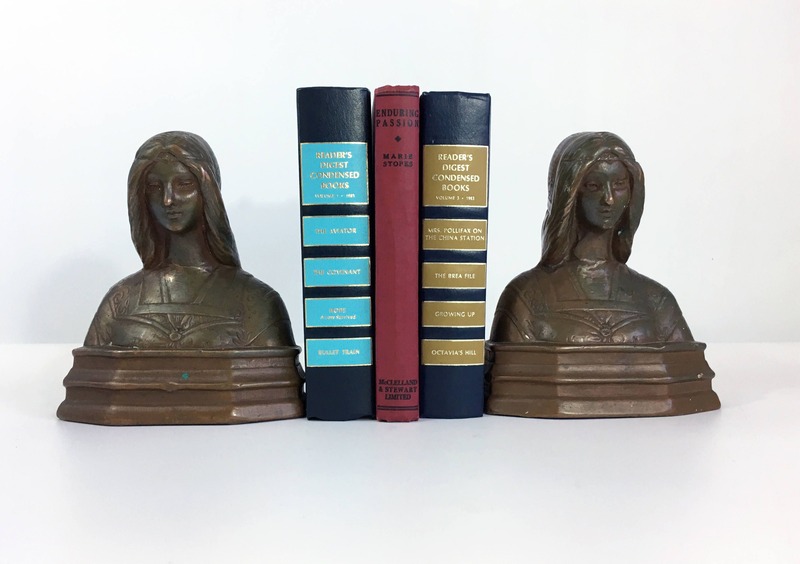 Weigh more than 3 lbs each, so they are a heavy set of bookends. 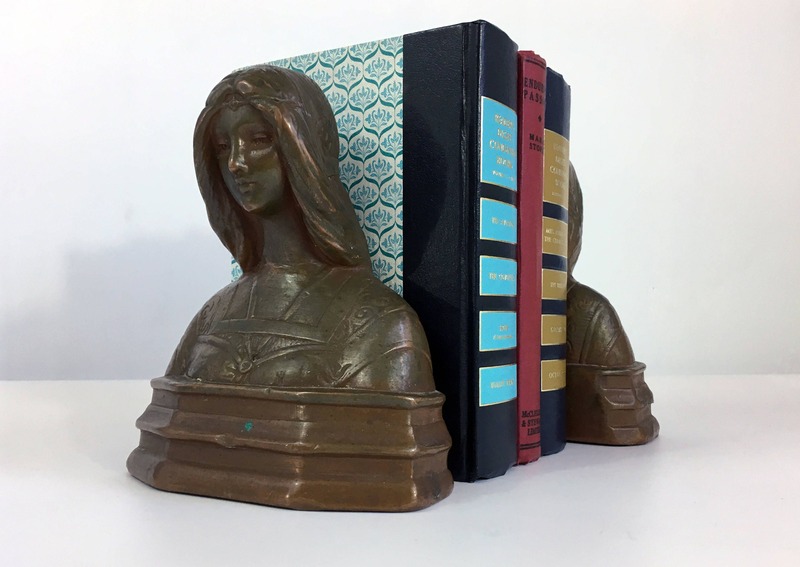 Perfect for a library, office or living room area. These 2 ladies are the same but each has a slightly different look to her seen upon close inspection. 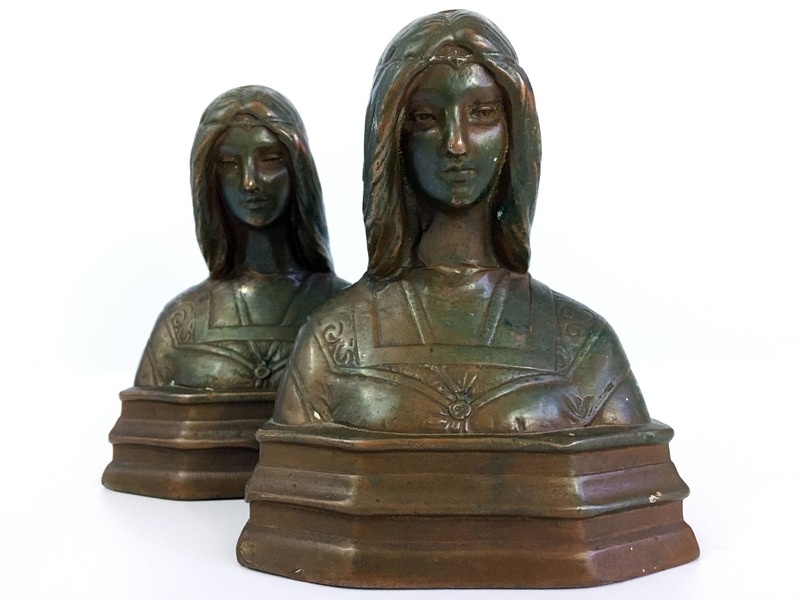 In nice antique or vintage condition with some patina typical of copper items and wear to the bottoms these Art Deco ladies - see photos.